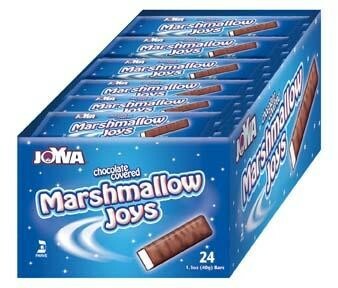 Marshmallow Joys (24ct.) 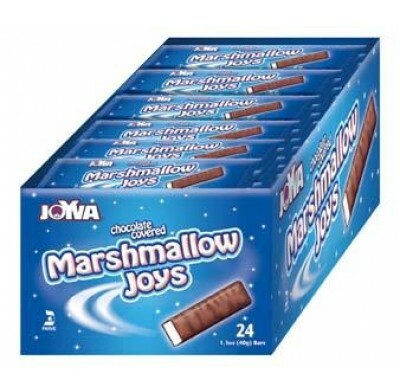 from Joyva, the classic candy of vanilla marshmallow coated in dark chocolate. Kosher Parve. 24 individually wrapped candy bars in each box. Each bar is 1.3 ounces.